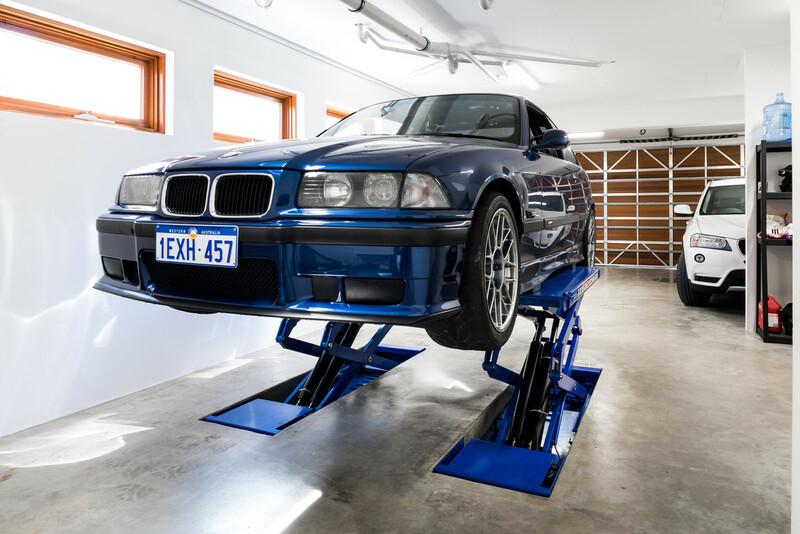 CAR HOISTS - 11 different types - Brisbane and Melbourne Warehouse. Thread: CAR HOISTS - 11 different types - Brisbane and Melbourne Warehouse. This is the area I've got to play with. My constraints are that I'll need a minimum of the 1.75metre lift so I can park my current car underneath. What would you recommend Lincoln? 313cm - 175cm... what's your car? a GT40? have you considered a 4 post? 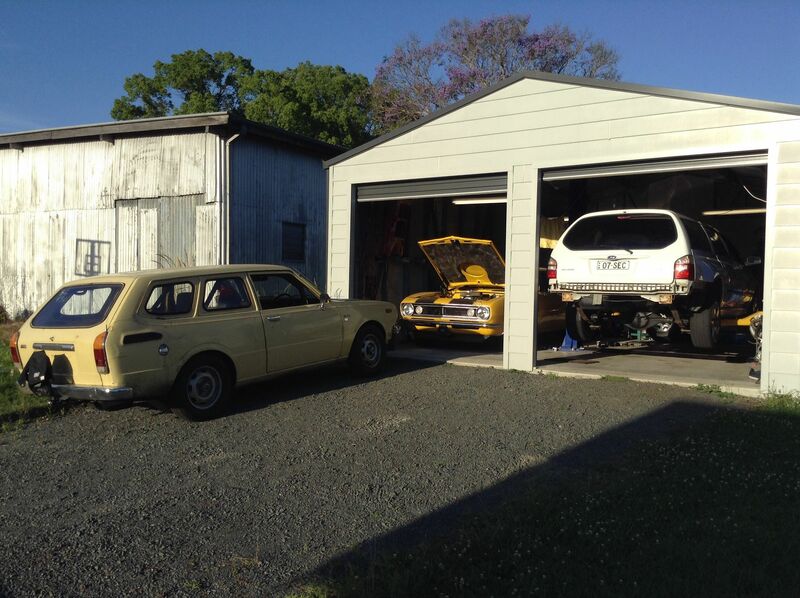 Garage roof isn't flat - here is a picture showing that. Surprised you say that bpm. I have 4 hoists, only one is a 4 poster and I rarely use it cause it's such a pita. For the extra 30 seconds it takes to position the arms the advantages far outweigh the disadvantages. 4 posters get used heaps for services. Everything else is easy. Just jack it, takes less than a minute. No lifting wheels to the ground etc. I like mine, I had trenches formed when pouring the garage slab so it sits level with the floor when down. Very unobtrusive if you have limited space. don't even need that much …. The most dangerous risk of all - the risk of spending your life not doing what you want, on the bet you can buy yourself the freedom to do it later. - Randy Komisar. I'd love to do the same, that way i still have two car spaces in the garage when its not in use. im gonna have to get some work done with the concrete slab i guess, because i doubt its up to standard. what brand did you end up going with? tufflift vs these jiggers, opinions? from a welders perspective they both have the china stick-welded scrap-metal look but the HAPP looks to be the better of the two.